An ideal alternative to hotels in Kamloops, Residence & Conference Centre – Kamloops is located near many attractions in Kamloops and things to do in the spectacular Thompson Okanagan region of British Columbia. Kamloops is the second largest city in British Columbia’s Interior and is a safe and friendly community of 85,000 people. Located at the confluence of the North and South Thompson Rivers, Kamloops got its name from the First Nations people. In Secwepemctsin, the language of the people who have lived here for 10,000 years, the area was called “T’kumlups”, meaning the meeting of the waters. With over 2,000 hours of sunshine each year, all Kamloops seasons are perfect for escaping to the great outdoors. With a spectacular climate and incredibly diverse landscape of rugged hills, rolling grasslands and pristine lakes and rivers, Kamloops offer endless opportunities for you to get outside and pursue your passion. With hiking, mountain biking, golfing, kayaking, fishing, rock hounding and fossil hunting, wildlife viewing, skiing and snowmobiling what more can you ask for? Join us and experience for yourself everything that Kamloops has to offer. 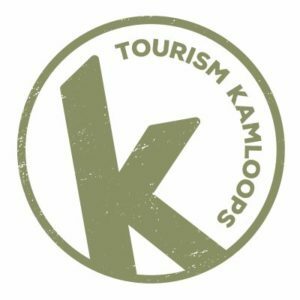 For more summer attractions, visit Tourism Kamloops. Check availability or make online reservations. Contact us by email kamloops@stayrcc.com or call for more information 250-852-6296.